At its national convention underway this week in Baltimore, the NAACP is expected to release a report again calling for a moratorium on the creation of new public charter schools. The outgrowth of a controversial “listening tour” that made stops last year in a number of cities, the report is expected to assert that charter schools fuel segregation and divert resources from other public schools. To backers of the schools, which often outperform their traditional district counterparts when it comes to educating children in low-income communities, the announcement — scheduled to take place during a Wednesday morning plenary session — is a slow-telegraphed punch. At the 2016 convention, NAACP leaders called for a temporary halt to allowing new charters, pending a deep dive into issues raised by the rise of the schools. But leaders of charter schools and families with children succeeding in them were sharply critical of the effort, decrying the subsequent regional hearings as structured to support a preordained outcome. Parents and educators hoping to talk about charters’ positive outcomes at some of the task force’s meetings were forced to sit through hours of pre-arranged testimony before being offered brief windows for public comment. In Tennessee, members of the parent-activist organization Memphis Lift complained in January that they were allowed 12 minutes at the end of a four-hour meeting. In Los Angeles, the February hearing was held in the middle of a workday in an auditorium at the Los Angeles Police Department headquarters. “I am not for charter schools,” California NAACP president Alice Huffman told angry audience members at a New Orleans hearing in April that devolved into a shouting match. In Orlando, Florida, education activist Rashad Anthony Turner was ushered out of a January hearing by police. 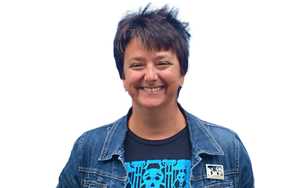 Angry that opponents of the moratorium were kept waiting, Turner interrupted a speech by American Federation of Teachers President Randi Weingarten, who was given a standing ovation at the direction of the task force chair. Turner last year resigned from the leadership of Black Lives Matter St. Paul over support for the moratorium from one faction of its leadership, saying the movement had been “co-opted.” Turner will not attend the Baltimore conference. The report’s release takes place just days after Weingarten delivered a speech at the union’s summer conference asserting that the school choice movement has its roots in white efforts to abandon integrating schools in the years following Brown vs. Board of Education. Charter advocates counter that the South’s private segregation academies were set up to exclude black children, which is different from families of color today choosing charter schools as an alternative to the district school assigned to their ZIP code. Promising only to intensify, the debate pits the nation’s most visible African- American organization against a host of civil rights groups. While evidence mounts that the best public charters outpace district schools on academics, the large numbers of students leaving those traditional schools has compounded the problems posed by shrinking enrollment. Although charter schools have had critics since the first one opened its doors in 1992, debate has swelled to a fever pitch since the proportion of students choosing the independently managed schools has risen in many cities to a third or more of the school-age population. The NAACP has viewed charter schools with suspicion for two decades, with some leaders fearing that the nontraditional schools undermine the organization’s long-standing call for better and more equitable public schools for all. In 2010, the NAACP passed a resolution drafted by its California-Hawaii chapter sharply criticizing charter schools and calling instead for “finding broad-based effective solutions for immediate implementation to improve the quality of public education for all children.” Various iterations of the statement have been reaffirmed since then, culminating with last year’s call for a moratorium. One of the most visible proponents of the resolution, Vasquez Heilig is also a professor of education leadership at California State University, Sacramento, and sits on the board of directors of the National Education Association’s charitable foundation, which makes grants in a variety of areas related to education. Charter school backers and others have criticized the NAACP for its financial ties to the NEA and Weingarten’s AFT, the nation’s other major teachers union. 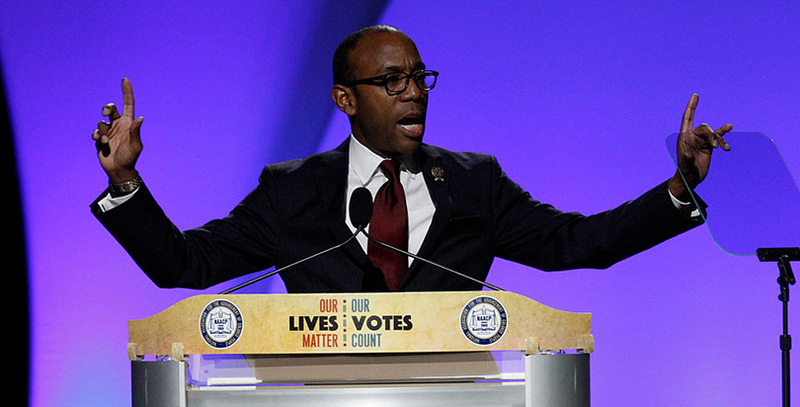 The two unions have contributed hundreds of thousands to the NAACP and its local affiliates, not including funds from union-associated charities, over the past decade, school choice advocates and union observers say.